Des did my signs very nice. You will not be disappointed using their services! Vinyl products are hugely impactful and can be applied to almost any surface! 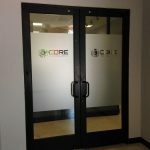 Take a good look at the outdoor, indoor, business and other signs around you and you’ll notice that vinyl is the key material being used in many instances. The economical and durable material is often used for vinyl banners, cut vinyl lettering, window clings, full or partial vehicle wraps and more! 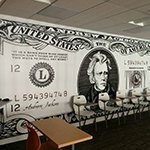 For business owners, vinyl gives you ultimate creativity, allowing you to create permanent or temporary signs without a large investment. 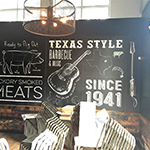 Carolina Custom Signs & Graphics offers a wide variety of vinyl colors, with in-stock fonts and art that our designers can utilize to create custom vinyl signs for clients. Already have a design? Great! Our team can work with existing art files to ensure your finished vinyl signs flow flawlessly with your in-place branding and signage. 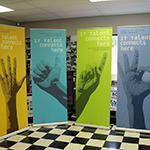 We utilize thick, durable vinyl so that your finished signs are long-lasting and high-quality! 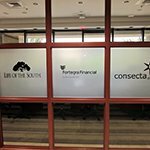 Vinyl can turn almost any surface – glass, drywall, metal, vehicles, or windows- into a surface that you can advertise your business on! 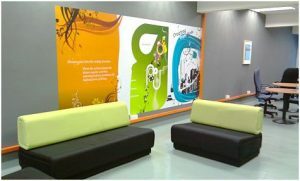 From indoor wall murals to outdoor banners, vinyl is the premier choice for vinyl signs for business and personal use. Do you have an office space that could use some freshening up? Or did your company just relocate? Vinyl is a great choice for office signage, wayfinding graphics, logos and branding signage, privacy films, and informational signs. Corporate and small businesses alike benefit from the professional finish of vinyl. 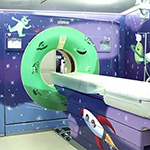 And Carolina Custom Signs & Graphics staffs technicians who can easily install even the most intricate vinyl designs, ensuring that the finished result is professional and impactful. Take advantage of the affordability of vinyl to brand your business or personalize your home! 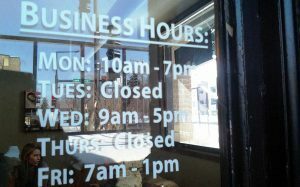 Many businesses can benefit from the budget-friendly uses for vinyl to brand storefronts and create promotional signage. Frosted windows look great on holiday window displays, and vinyl can even give an etched look to glass doors and display cases! 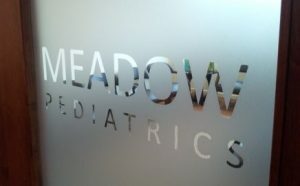 Vinyl graphics are great for logos and indoor signage. 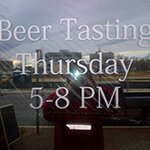 And if you’ve got an event coming up, vinyl banner signs are a great way to advertise to the public! Because vinyl is easy to remove and economical, it’s a great way to put up temporary signage like special store hours or window clings with sale information. 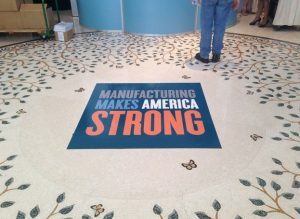 A great way to use vinyl is for floor graphics. These impactful and show-stopping graphics make good use of bold colors and attractive designs to promote and event or brand a space. They can also be useful for directional signage or wayfinding. Vinyl lettering applied to flooring can help mark safety or hazardous areas, such as directing occupants to watch their step. 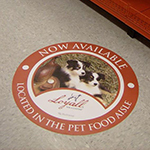 Carolina Custom Signs & Graphics utlizes extremely durable vinyl for floor graphics that can withstand foot traffic. Some clients find vinyl extremely useful for promotional items like vinyl logo stickers, vinyl window clings, and car decals. Our design team can take your existing logo or art and produce these small and highly sought after pieces of merch for stores, bands, or event promoters. At Carolina Custom Signs & Graphics, we stand behind our vinyl signs and want to make sure you are happy with your resulting sign. Visit us at our local Greensboro sign shop or call us at (336) 252-2032 if you have any questions or concerns about your vinyl sign or product. Impactful and economical, vinyl signs are a great solution for businesses. Carolina Custom Signs & Graphics is Greensboro’s leading full-service manufacturer of high-quality, durable vinyl signs for business! 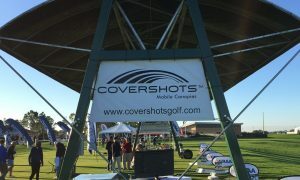 We can’t wait to show you how vinyl signs can improve your customer satisfaction and your bottom line. 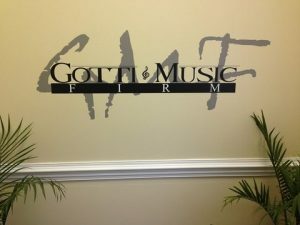 Call Carolina Custom Signs & Graphics today at (336) 252-2032 for a Free Consultation with a Vinyl Signs Expert!